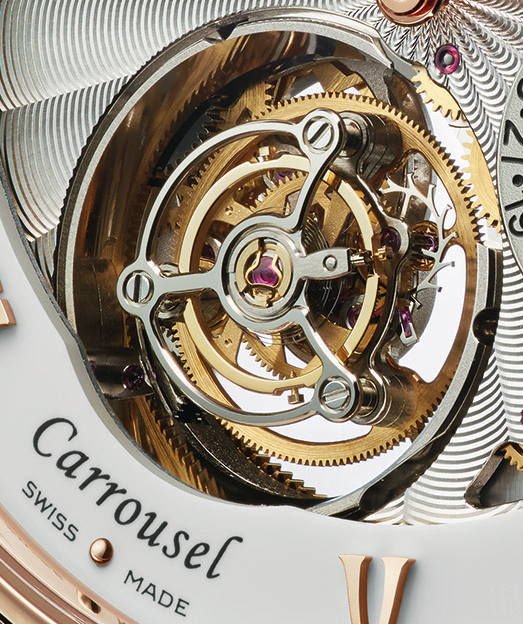 The tourbillon and the carrousel (karussel) are two of the major devices aimed at reducing gravity-related effects on the running of the movement. 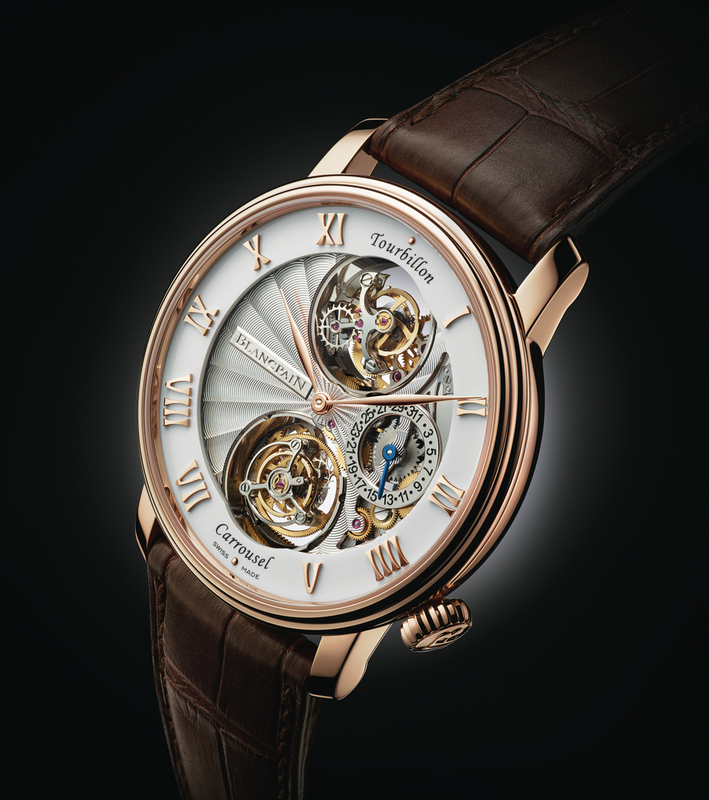 The tourbillon was invented by Abraham Louis Breguet in 1779 (and patented in 1801) while the less famous carrousel, whose rotation is slower, was developed by the danish Bahne Bonniksen in 1892. 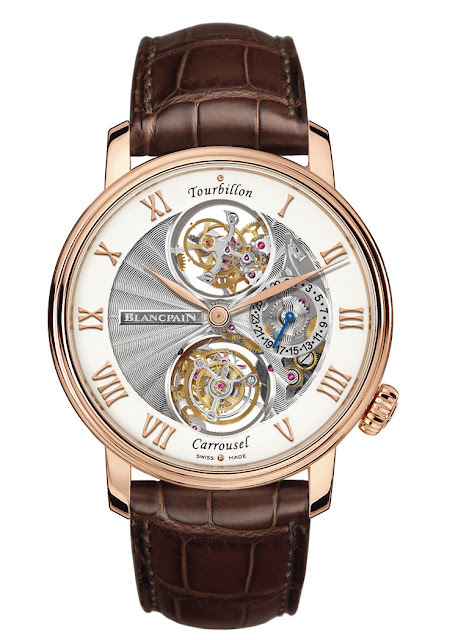 For the first time in horological history, with the new Le Brassus Tourbillon Carrousel, Blancpain introduces a wristwatch combining these two regulators in a model equipped with a fling tourbillon at 12 o’clock, a fling carrousel at 6 o’clock, and a date display at 3 o’clock. The eye is immediately drawn to the surprising differences and similarities between the mechanisms, as well as to the beauty of their rotation. The two independent carriages are linked by a differential gear system, which transmits the average rate of both regulators to the time display. An external winding crown enables both barrels to be wound simultaneously while guaranteeing their equal winding. The barrels provide a remarkable seven-day power reserve. While these two systems share the same purpose, they differ in terms of their construction. In the case of the tourbillon, the carriage is linked to the barrel via a single gear train, which means that if this mechanical connection is interrupted, the tourbillon also stops rotating. The carrousel is connected to the barrel by two gear trains: the first delivers the energy required for the operation of the escapement, while the second controls the carriage rotation speed. The difference between the two systems thus consists in a more elaborate construction involving more components for the carrousel. The dial is open-worked in order to provide glimpses of the moving parts in action. The grand feu enamel chapter ring bears gold Roman numerals. 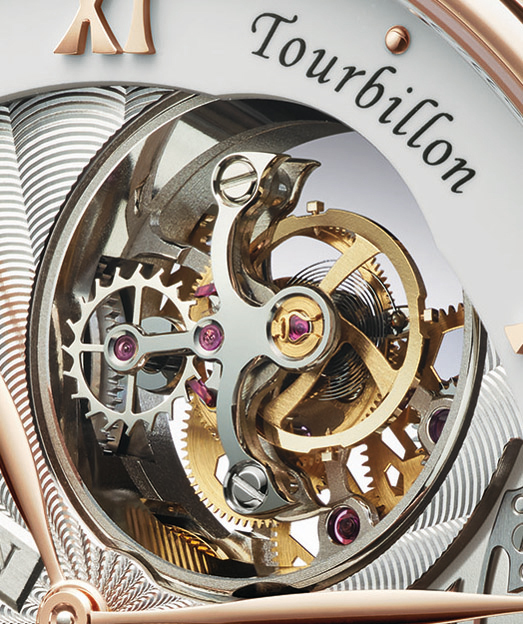 This complication is equipped with the new hand-wound Calibre 2322 composed of 379 parts including two new silicon balance-springs.The case has a diameter of 44.60 mm with a thickness of 11.94 mm. 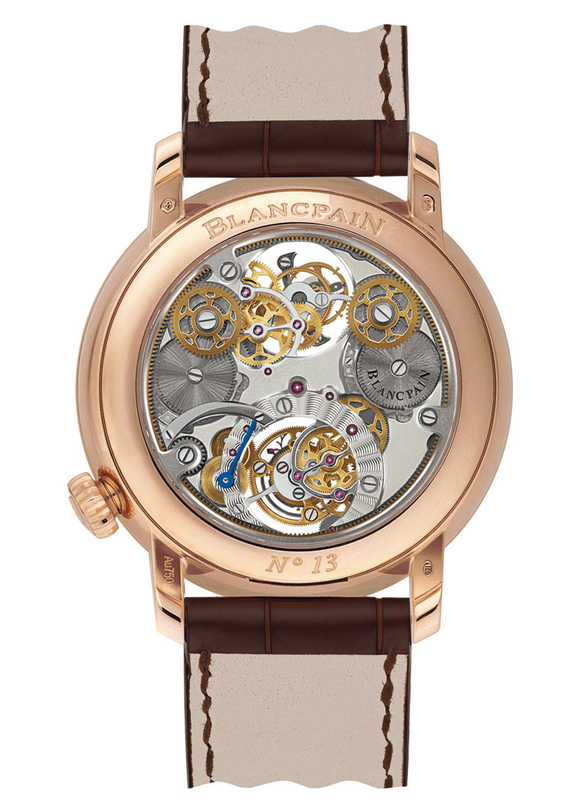 An alligator leather strap with a triple-blade folding clasp completes the new Le Brassus Tourbillon Carrousel from Blancpain. Blancpain, Le Brassus Tourbillon Carrousel Ref. 2322-3631-55B, BaselWorld 2013. 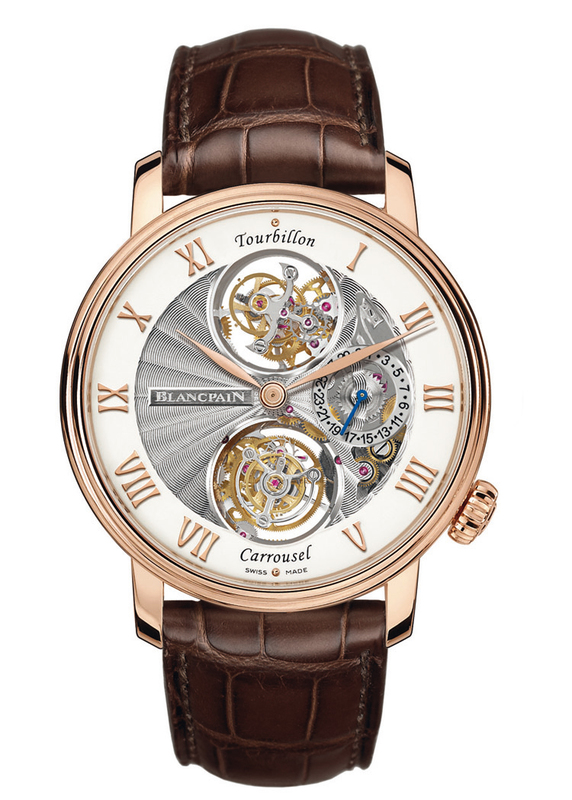 For the first time in horological history, with the new Le Brassus Tourbillon Carrousel, Blancpain introduces a wristwatch combining a flying tourbillon and a flying carrousel.